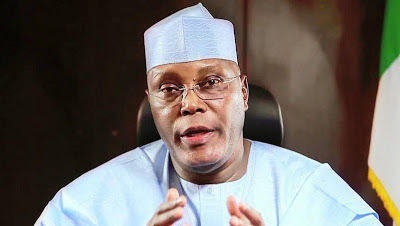 Posters of former Vice-President and chieftain of All Progressives Congress, Abubakar Atiku, yesterday, flooded the Katsina State secretariat of the Peoples Democratic Party, even as the PDP chieftains called for Atiku’s return into their fold. Atiku’s posters carrying various messages such as ‘Wazirin, we earnestly want you back in PDP:’ ‘Atiku, political son of Katsina State for 2019,’ and ‘Wazirin, the bridge builder,’ donned the premises of the PDP state secretariat and the surrounding areas along Kano road. The PDP State Chairman, Alhaji Salisu Majigiri, who addressed party chieftains at the secretariat on Monday, however, said the meeting was called to discuss how to move the party forward in the state.